This attractive stone-built farmhouse stands in an elevated position and enjoys extensive views of the orchards, fields and vineyards. Picturesque from the outside, the house is impressive inside, spacious, furnished and decorated to a good standard adding to the traditional charm of the old building. The covered terrace, shady garden and delightful pool area with large gazebo ensure you can enjoy convivial eating or relaxed privacy to the full. The nearby pretty village of St. Vivien-de-Monségur, 1.5km, has a beautiful old church, small shop, bar, restaurant around the tree shaded square. The nearby medieval Bastide towns of Duras and Monségur, 5km, hold cultural and musical events in the summer. There are leisure lakes with sandy beaches, picnic areas and watersports at St. Sernin, 25km, and Casteljaloux, 40km, and it is an easy drive to the renowned vineyards of St. Emilion, Bergerac and Pomerol. Entrance hall. Large living room with tiled floor, feature chimney and billiard table. Dining room opening to well-equipped kitchen with glass doors leading to garden and pool. Utility room. Two double bedrooms. Bathroom. Separate WC. Stairs from living room to galleried landing. One double bedroom with en-suite WC (low beams), leading to double bedroom. Shower room. Garden. 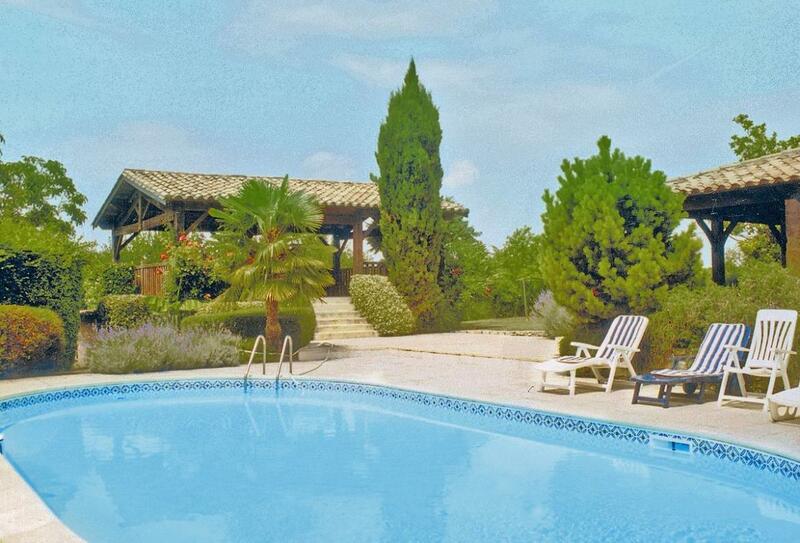 Private swimming pool (9m x 5m, depth 1m to 2m, open Jun-Sep weather permitting). Gas and electric heating. Wi-Fi. Washing machine. Telephone (incoming and local calls only). Dishwasher. Microwave. Freezer. Cot. Parking. Barbecue. NB: There are low beams at the property.